Damn! This year's Made in America bill just got a whole lot more exciting. Jay-Z's Labor Day weekend festival on the Ben Franklin Parkway already had a strong hip-hop lineup scheduled with Nicki Minaj (whose album Queen came out on Friday), freed-from-prison Philadelphia hometown hero Meek Mill, and tough talking Clipse rapper Pusha-T, not to mention popular Beerbongs & Bentleys breakout star Post Malone. Now, add Kendrick Lamar to that mix. The Compton, Calif. emcee who's widely regarded as the great rapper alive, is has been added to the MIA bill. Lamar's 2017 album Damn. was famously denied the album of the year Grammy he deserved earlier this year, but he then did the Recording Academy one better this spring when he became not only the first rapper, but also the first non-jazz or classical musician to win the Pulitzer Prize for music. Lamar played both the BB&T Pavilion and the Firefly Festival Delaware this year. 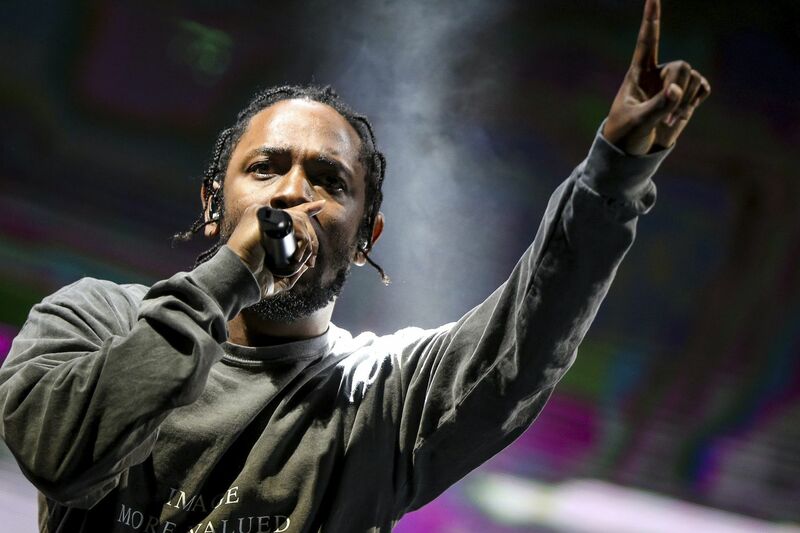 His performance at MIA is being billed as "A Very Special Set by Kendrick Lamar." It's unclear whether he'll play on Saturday or Sunday; the specifics of the schedule will likely not be announced until the week before the show. His addition to the bill is another impressive power play by Jay-Z, the entertainment mahoff who succeeded in keeping his festival on the Parkway in a public squabble earlier this summer that broke out after it became known that Mayor Kenney's office planned to move it to a different venue in future years. Lamar last played the festival in 2013. Made in America two day passes are on sale at Ticketmaster.